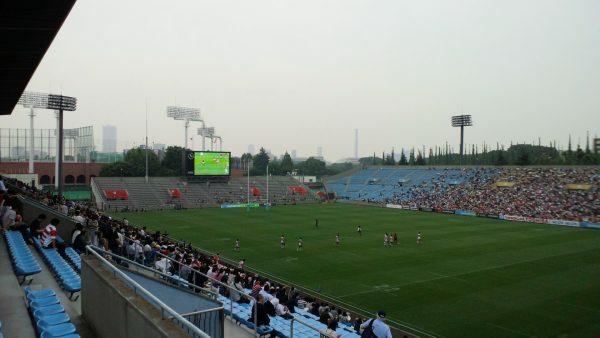 The Chichibunomiya Rugby Stadium is located in Aoyama, Tokyo. 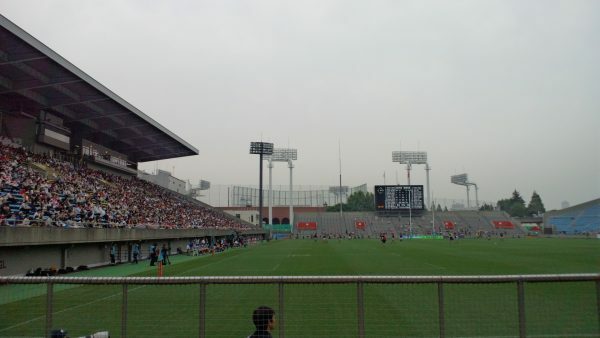 This stadium is the Rugby-specific Stadium, also called the Prince Chichibu Memorial Stadium. 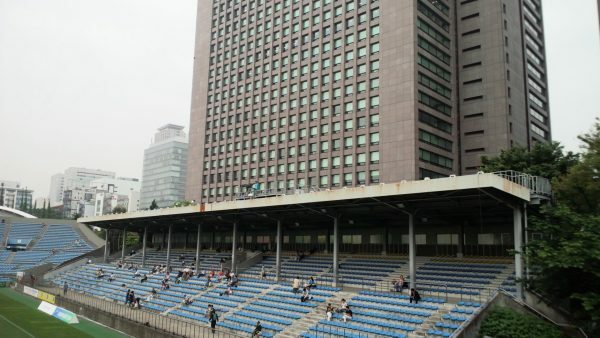 The stadium was built in 1947 and the number of international matches have been held in this stadium. 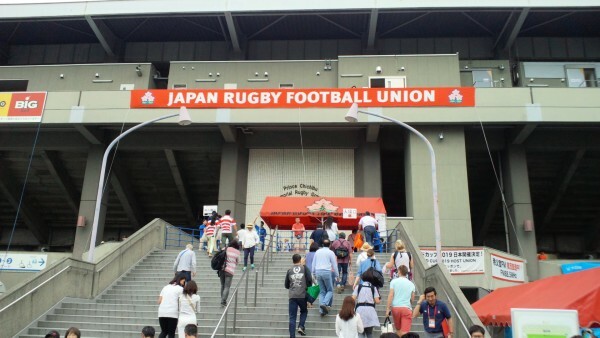 It will take you to the spiritual home of Japanese rugby union with many photoes. How can you get to the stadium? 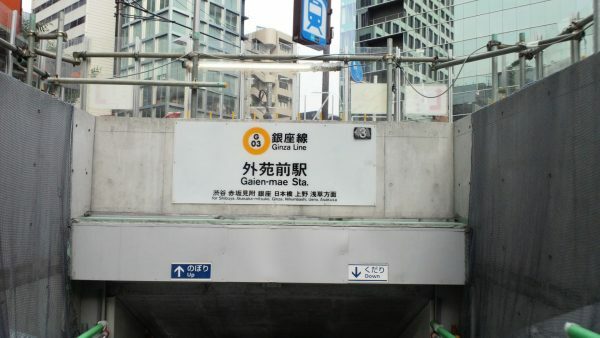 Please take the Ginza line of subway from Shibuya Station and get off at Gaiemmae Station. So it goes out from Exit 3 out of the wicket. This sign is the mark. Let’s proceed in the direction of the arrow. And go up the stairs, you go outside. It is a photograph of Exit 3 that was seen from the outside. Let’s go straight after going outside. 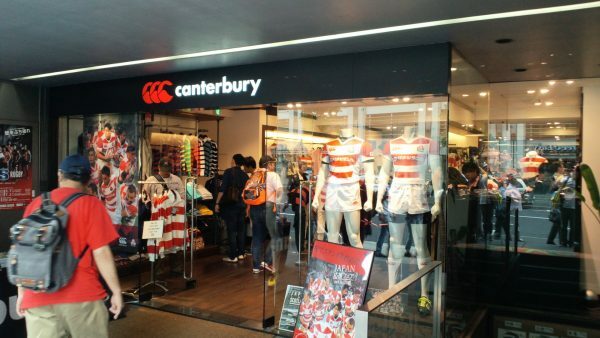 There is a Canterbury shop on the way up to stadium. 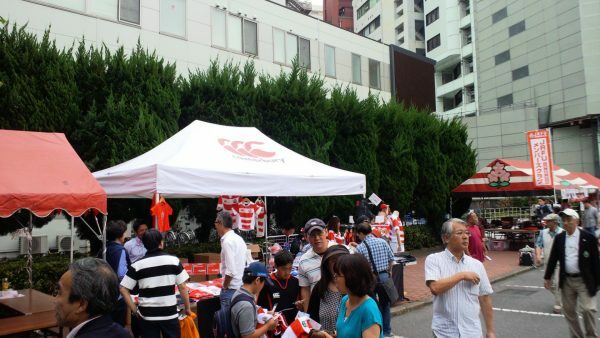 The jersey of the Japan national rugby union team and the Sunwolves can be take in this shop. About 5 minutes walk and you come to the entrance of the stadium. 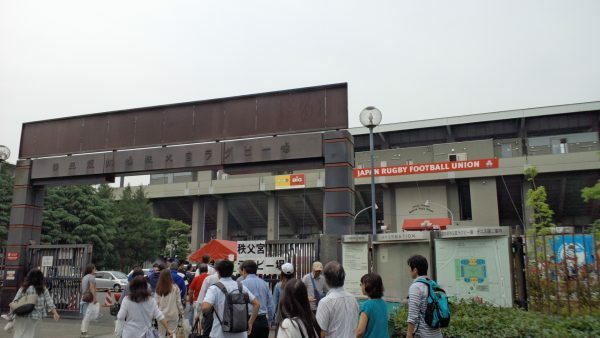 This stadium is also the home of the Sunwolves, Super Rugby. The capacity of this stadium is 25,000. 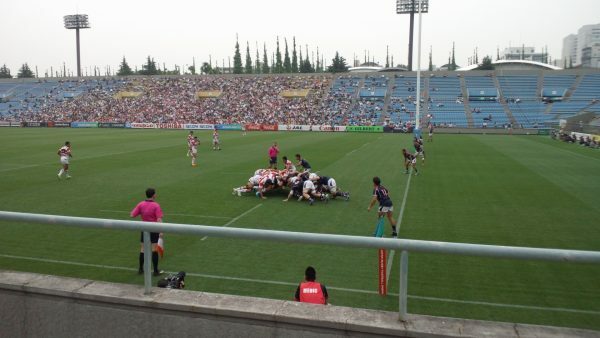 In this day, The match of Asian rugby championship 2016 is held, The Japan national rugby union team vs. the Hong Kong national rugby union team. The guide book sold at outside of the stadium. 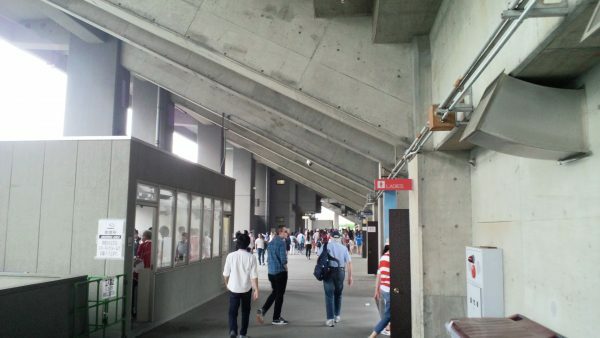 And because there is not much shop is in the stadium so Go to buy drinks and food before entering the stadium. Here is the location of main entrance. You can come here even without an access map. Let’s go to the stadium to show the ticket. This is a bronze statue of Prince Chichibu. 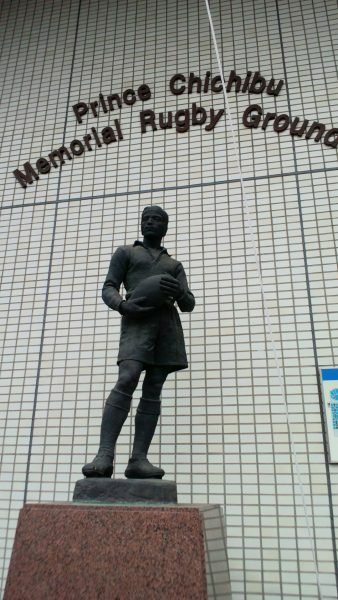 He was a honorary president of the Japan Rugby Football Union. 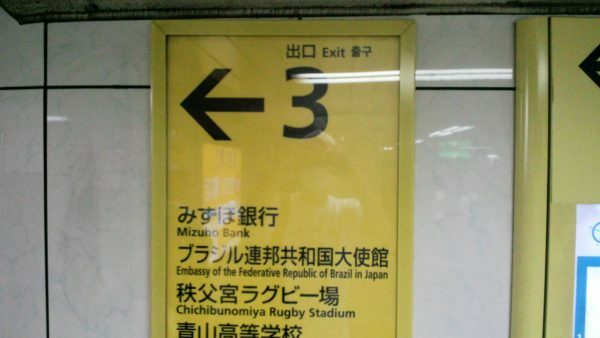 So it gave his to the stadium, called Chichibunomiya Rugby Stadium. The bronze statue has greeted the audience in the entrance. Let’s go to stand through this pathway. A ticket was wrote a gate number of leading to your seat, so trying to find the gate number. The room of left is a smoking area. This seating leaves from the No. 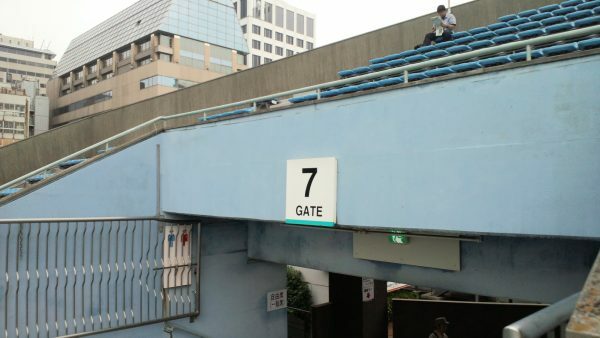 7 gate. Let’s select your favorite seat in order to the unreserved seats. This is a view of the place that was out of the No. 7 gate. A place that can see all of the stadium. Now let’s go in the vicinity of the seating of the ground. The players of both teams just has been admission, and the national anthem is flowing. 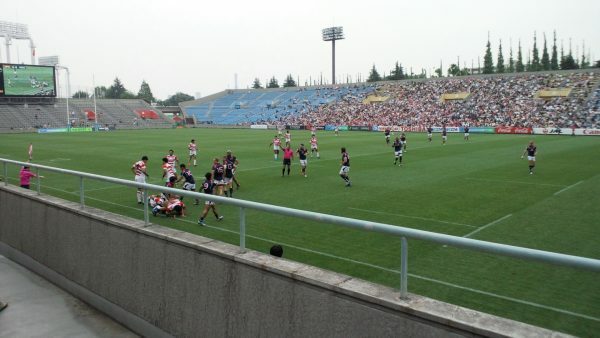 Seat of the front row is seen the playing in the vicnity. It comes through force of players. A scene that formed a scrum. It may be also hear well the voice of players. 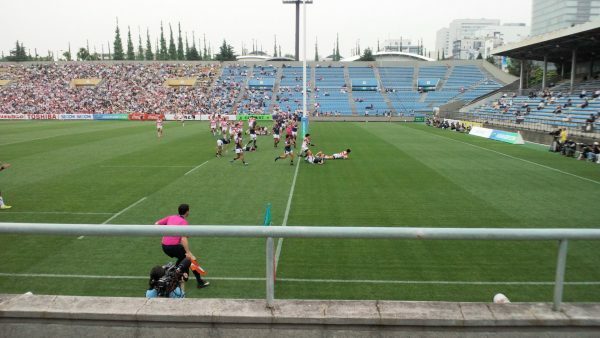 Then the Japan took a try! Also it looks better the scene of try. Now let’s go to the seating that the back of goal. Because there is a roof so this seat is good convenient for the rain. It is the view from the front row. It can’t be see the players that are in the goal of the opposite side. 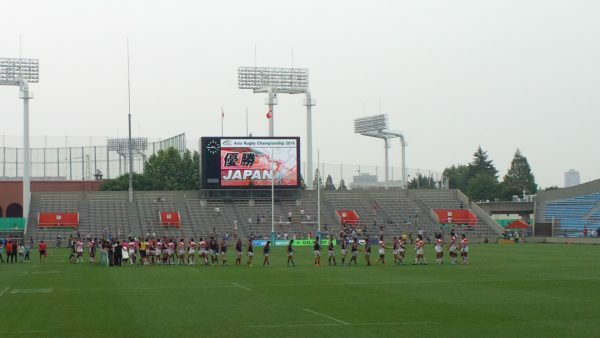 Finally, Japan beat Hong Kong 59 to 17. And Japan win the victory of Asian rugby championship 2016. How did you like it? 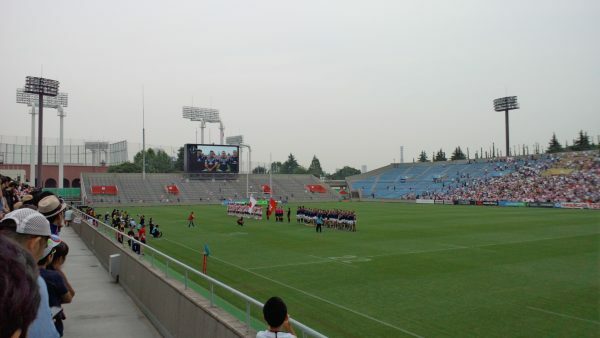 It would be helpful when you come to the events at Chichibunomiya Rugby Stadium someday.